…as a festival, as an artist, as a spectator? Can we soften the edges? How do we explore new terrain? 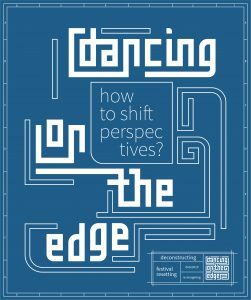 13 – 24 NOVEMBER 2019 – For 12 years, Dancing on the Edge has been presenting the best of performing arts from the Middle East, North Africa and the diaspora in The Netherlands. Every festival artists, curators, thinkers, theater professionals and audiences from different parts of the world bring together an abundance of stories and perspectives in one place. Only a small part of that richness is communicated through the performances. That is why this year Dancing on the Edge presses the reset button. To offer a better opportunity to meet and interact on a deeper level, we are deconstructing the festival format. Without set frames, but with the soft radicality of open questions. We invite everyone to create the festival with us, and to actively take part in it. 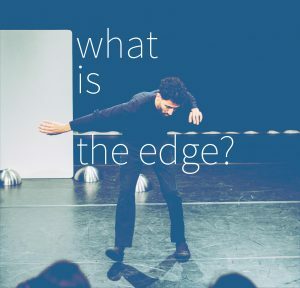 That way we want to create a Dancing on the Edge Community, in which artists can start a dialogue with each other and the audience about what drives or inspires them. What questions are never asked? Do we need new words, rituals or different kinds of festivals? How can we create alternative narratives concerning artistic practice from the Middle East and North Africa together? From 13th till the 24th of November 2019 there will be different programs in Utrecht, Rotterdam and Amsterdam, amongst which performances, table conversations, a laboratory, workshops, food & drinks, music, films, storytelling, and more! The complete program will be announced in the months leading up to the festival. Become part of the DOTE Community! Follow the artistic process of creating a new kind of festival and the announcements on programming by subscribing to our newsletter at the bottom of this page or follow us on Facebook or Instagram.